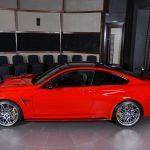 With model after model arriving at Abu Dhabi Motors, BMW purists have the pleasure to admire exquisite projects with wonderful aero kits and luxurious interiors; not to mention some heavy power packages under the hood. 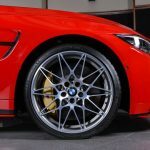 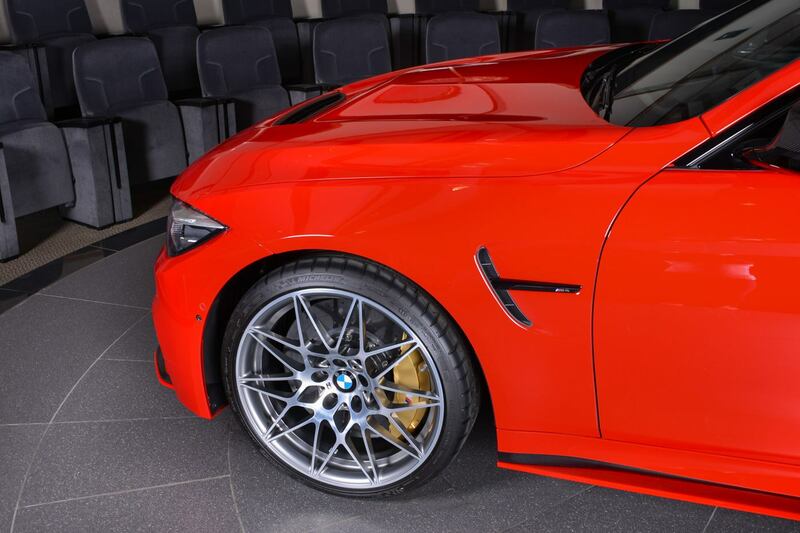 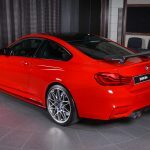 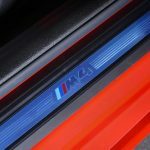 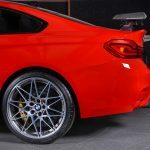 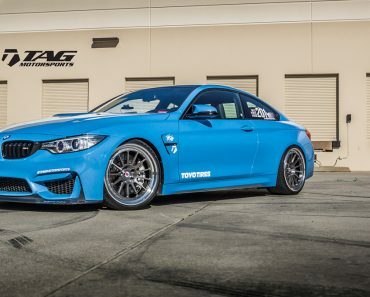 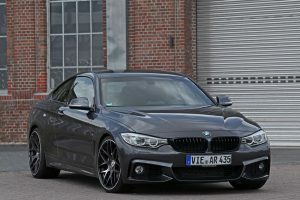 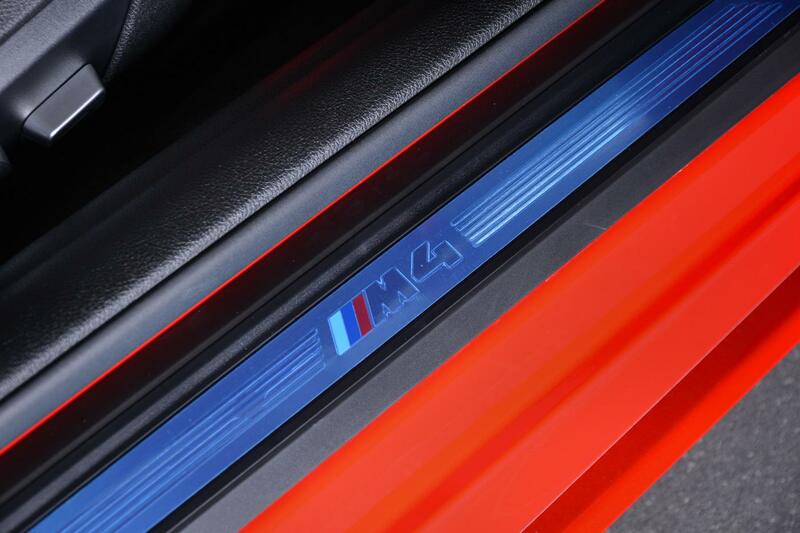 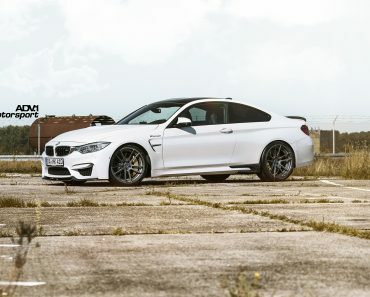 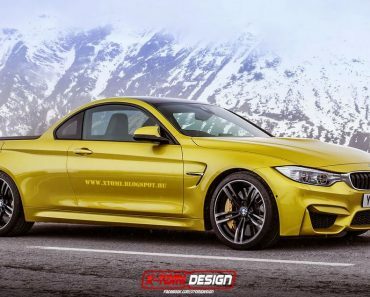 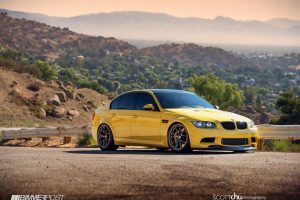 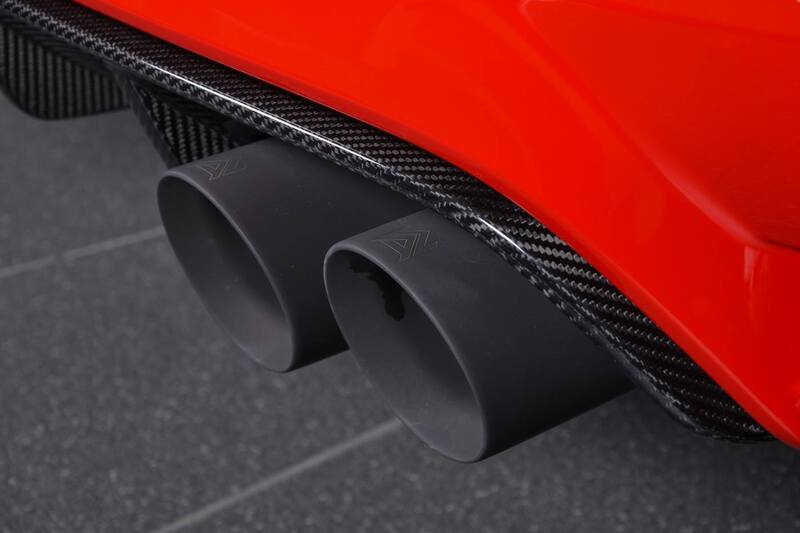 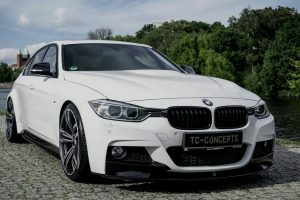 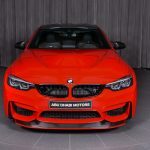 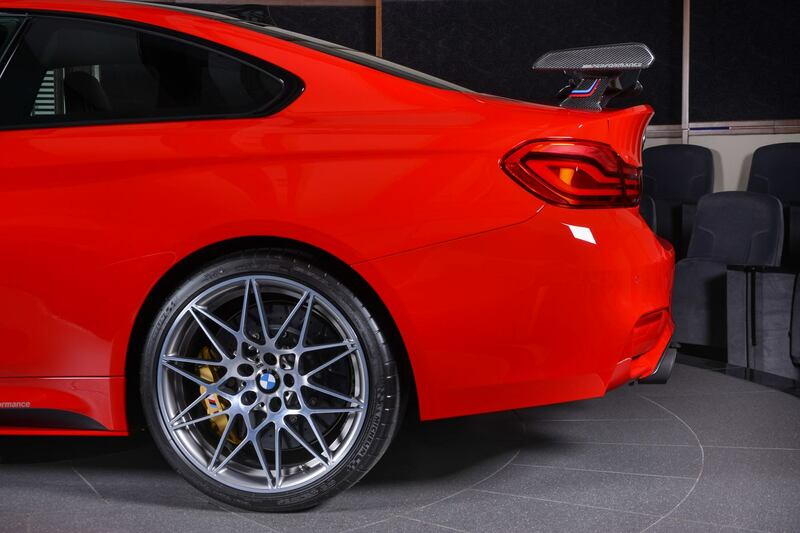 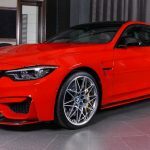 Amongst the most exclusive programs, the BMW M3 and M4 are leaders, with a plethora of exotic wraps at the exterior – San Marino Blue, Yas Marina, Speed Yellow and much more – and aero kits from tuners such as AC Schnitzer or Manhart. 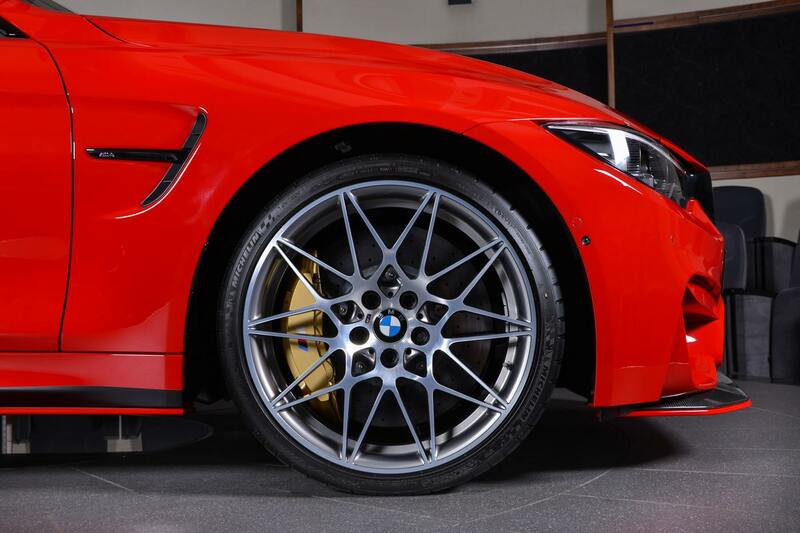 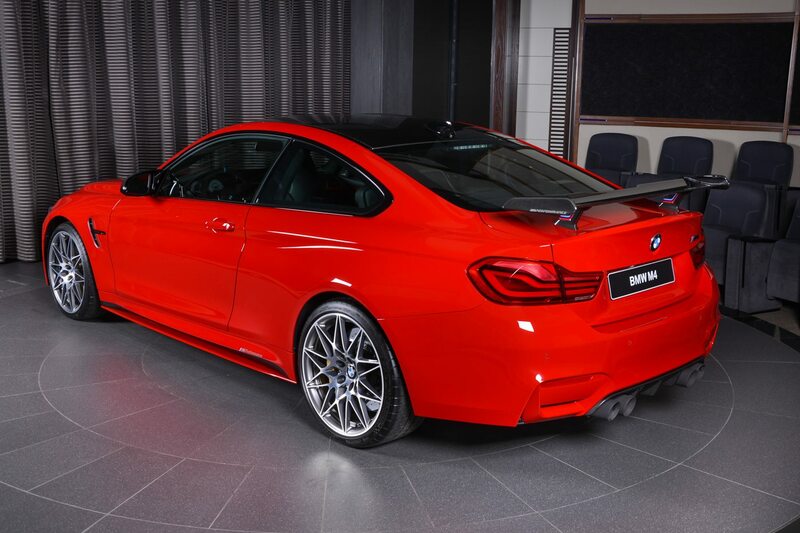 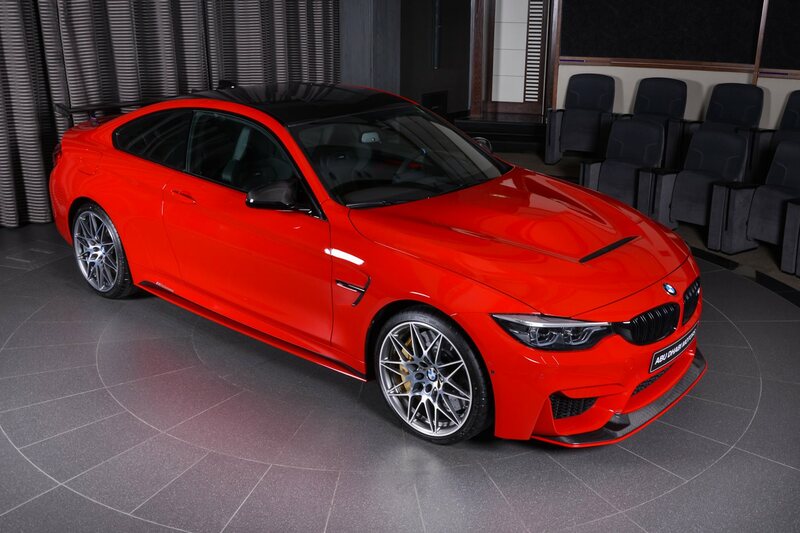 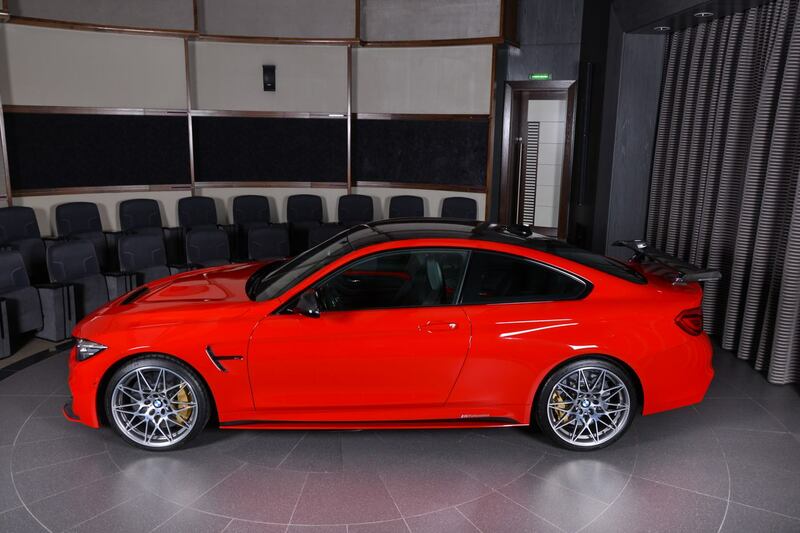 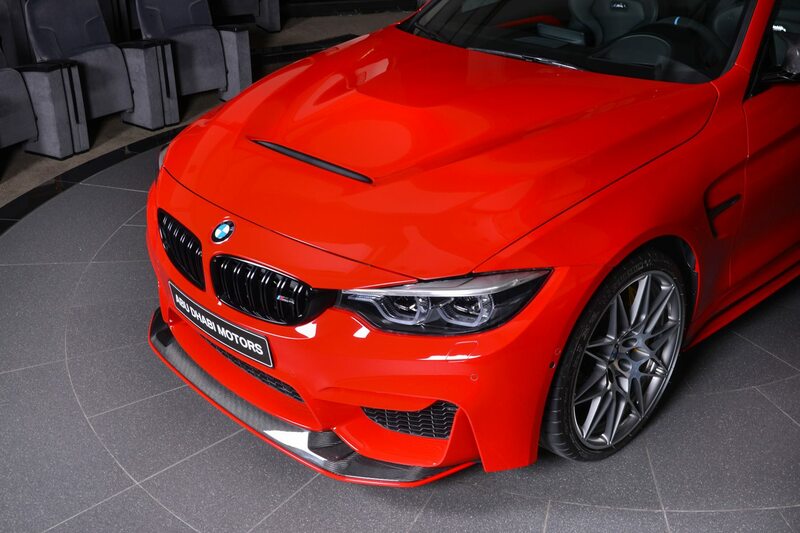 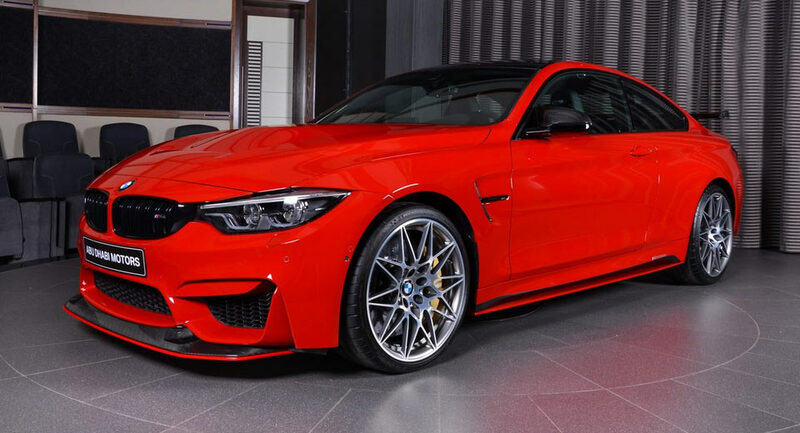 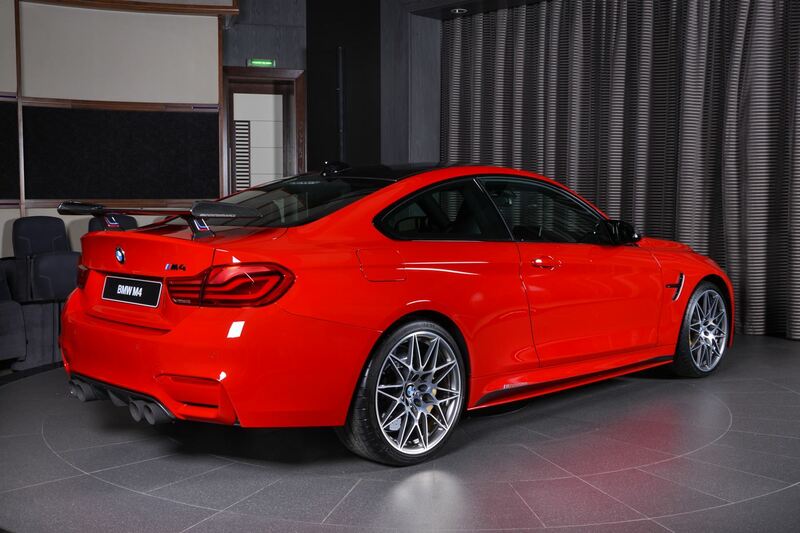 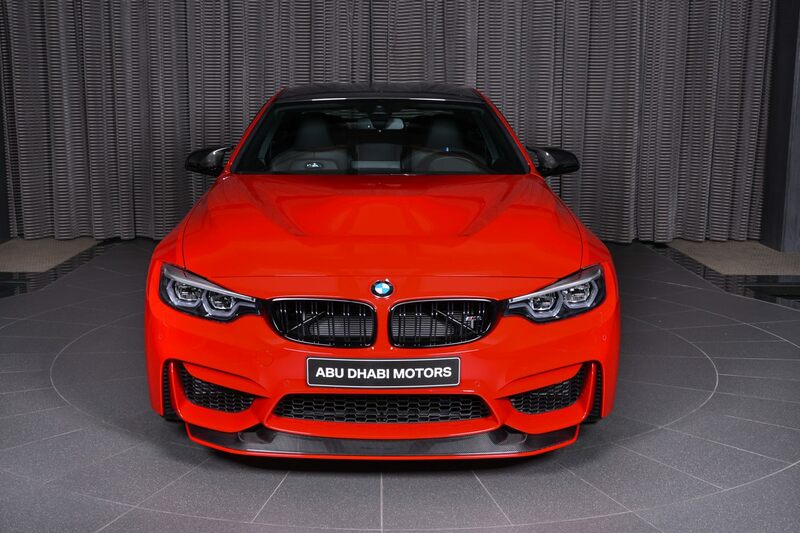 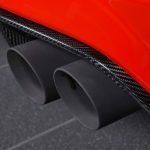 Each program is exciting to admire and the latest to have arrived in Abu Dhabi – the below Ferrari Red F82 BMW M4 – is another standout program coming with M Performance Parts. 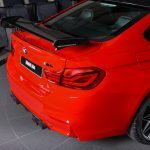 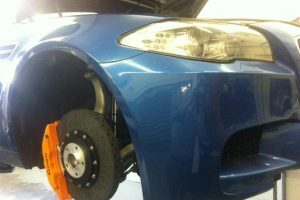 As expected, there are no mods added underneath the car`s bonnet. 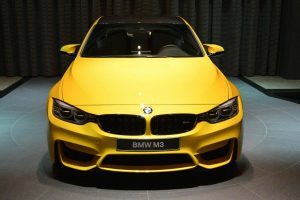 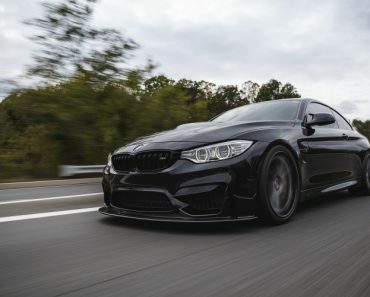 In the engine department, the BMW M4 packs the same 3.0-liter TwinPower Turbo inline six-cylinder engine, with 431 horsepower and 500 Nm of torque on board. 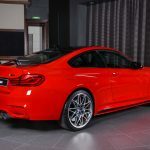 The power allows a sprint from 0 to 100 km/h in 4.3 seconds with a standard six-speed manual; when fitted with the seven-speed M-DCT, the model needs just 4.1 seconds to reach 100 km/h. 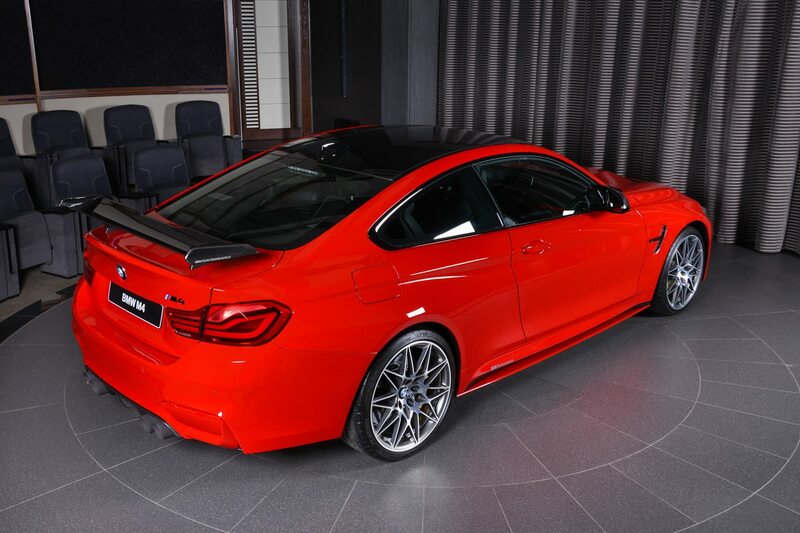 The top speed is electronically limited to 250 km/h. 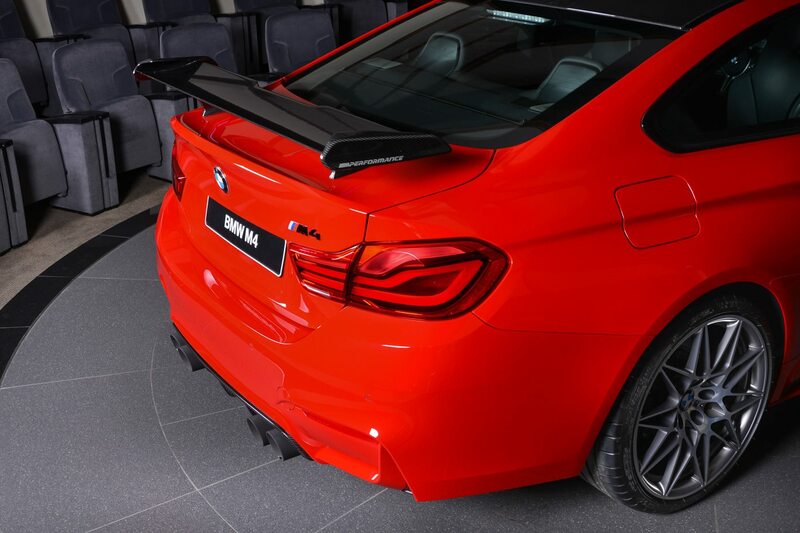 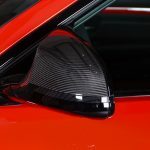 What makes this model quite eye-catchy is the GTS bonnet, front spoiler, M Performance wing or the Armytrix exhaust system, which increases the engine`s soundtrack and normally provides an extra power boost. 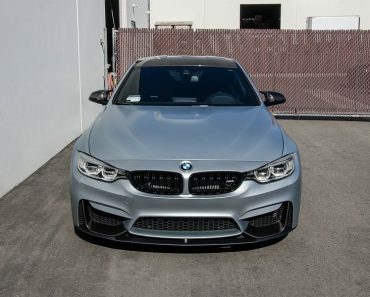 Unfortunately here, this is not the case. 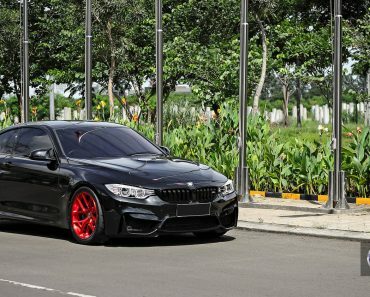 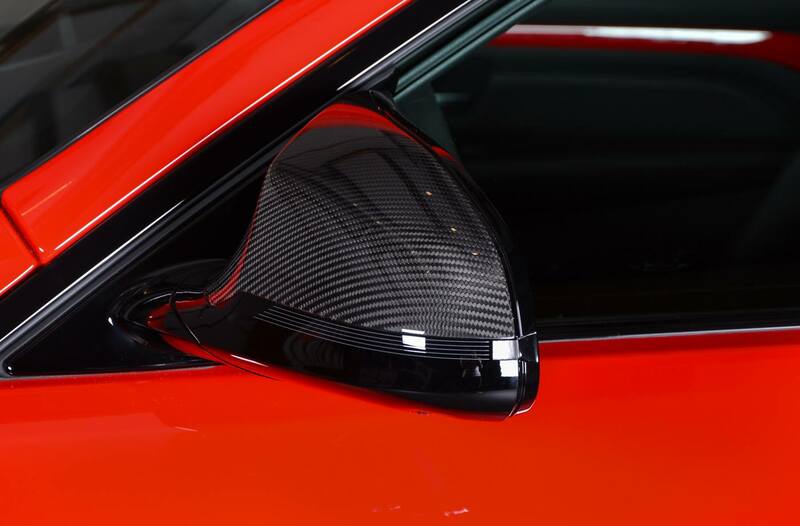 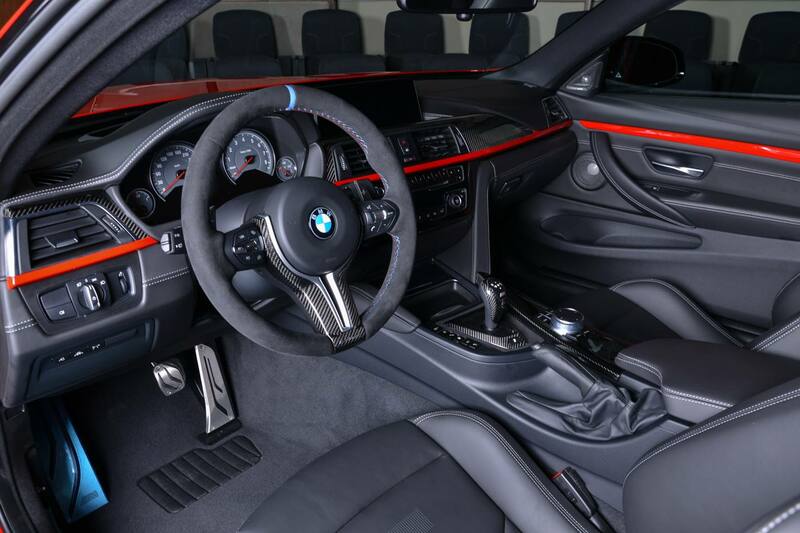 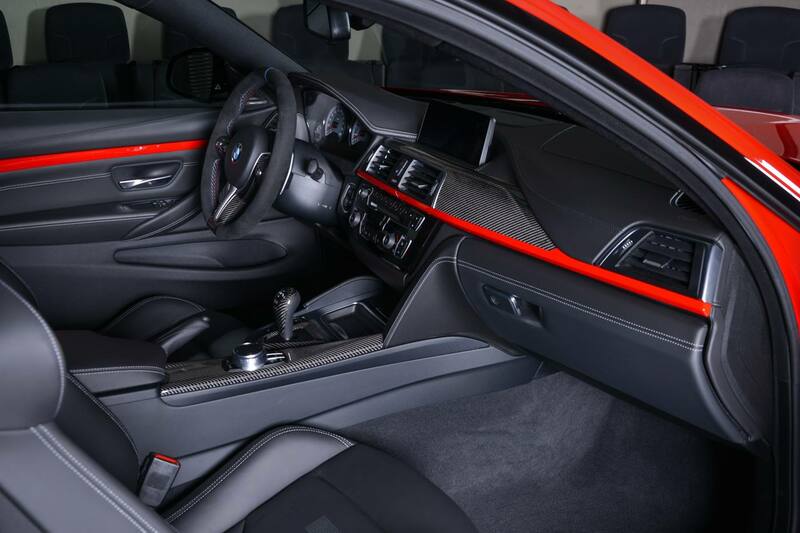 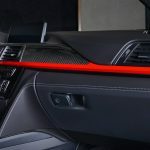 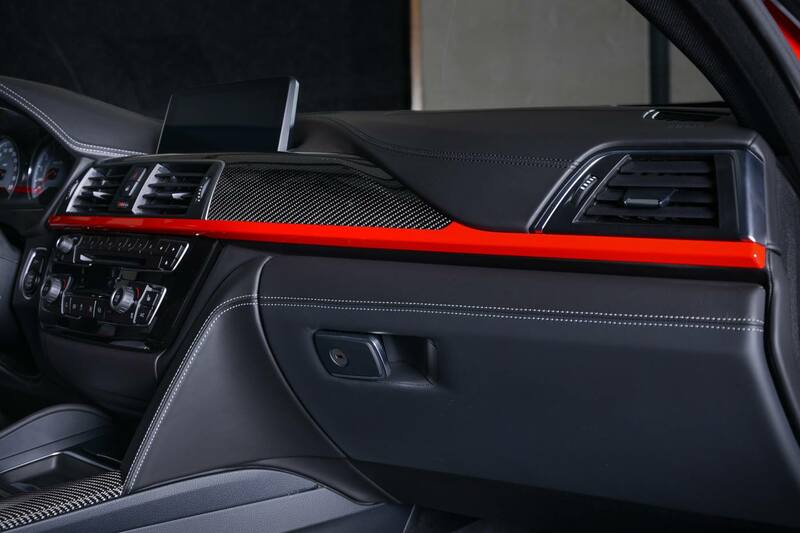 Besides the add-ons at the exterior, this Ferrari F82 BMW M4 has also received some goodies inside the cabin, like the same Ferrari Red trim on the door panels and dashboard, center console fully wrapped in carbon fiber, M Performance steering wheel, as well as Alcantara on the sport seats. 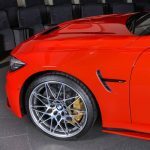 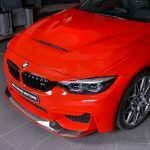 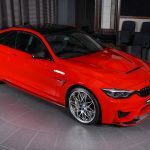 BMW Abu Dhabi Motors has also released an impressive media gallery with the Ferrari Red F82 M4, so take a closer look and don’t forget to share your opinions with us!